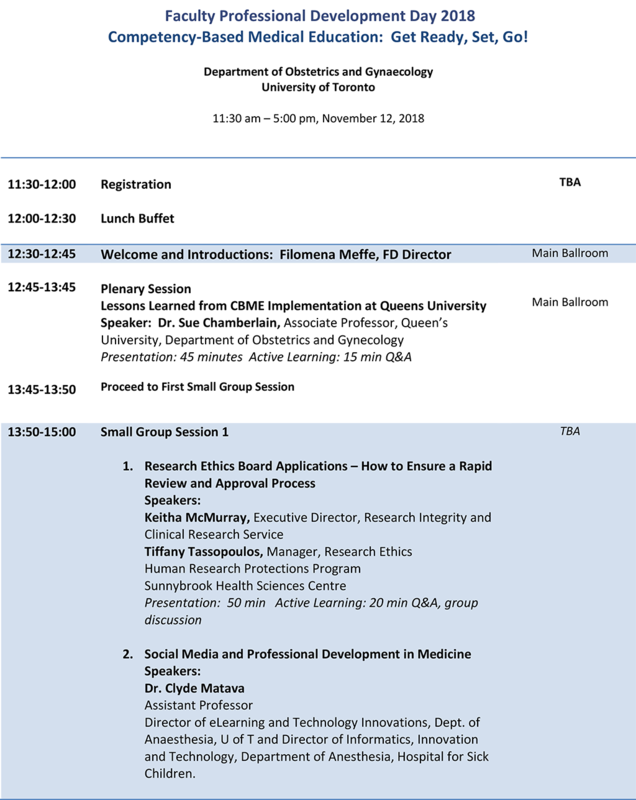 The Department of Obstetrics and Gynecology Faculty Professional Development Day is a half day event which explores a number of topics relevant to faculty academic roles and career development. 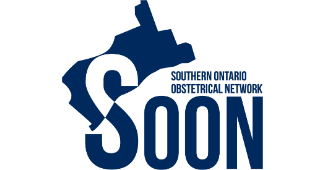 Topics covered include self-regulated learning, reflective practice, competency-based medical education, feedback, senior promotion, assessing research productivity, optimizing undergraduate teaching effectiveness, and undergraduate medical education innovation. Recognize concepts related to self-regulation, self-directed and life-long learning in health professions education. Apply a model of reflective practice. Faculty Professional Development Day 2018: Competency-Based Medical Education: Get Ready, Set, Go! maximizing chances of successful research ethics board applications. Join us to celebrate, recognize and reward excellence among our membership, and discuss best practices and innovations through a series of lectures and interactive small group sessions. To register for this event or learn more, please contact us at obgyn.communications@utoronto.ca. Registration closes Friday, November 9, 2018 at 10:00AM.